Where to Start when Building a Smart Home? 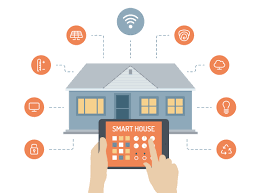 The idea of DIYing your own smart home and completing it with connected devices in every room can be fascinating. But for beginners, there is the ultimate question – where to start? There are just so many variables as well as options in the market. Don’t worry; we’ve got your back by providing you this Smart Home DIY 101 Guideline. Starting from your mobile phone or tablet – choose a system. Systems, provided by major players including Google, Apple, Samsung, and Amazon, can empower the Internet of Things (IoT) and are getting more and more sophisticated. You can start with HomeKit if you are a persistent Apple fan or SmartThings if you just got the new Samsung S8, although we are witnessing a rising trend for smart devices to be compatible with both. Or you can go with a universal one – Amazon Alexa or Google Home. Between these two, Amazon has a larger device ecosystem since it has been on the market longer while Google is speeding to catch up. Next, you will want a home assistant. Once you pick out the system on which you want to build your smart home, it’s a lot easier to choose the home assistant and vice versa. 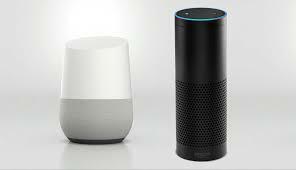 Amazon Echo and Google Home are currently the two favorite gadgets of tech savvies. Just yesterday (Sep. 27), Amazon announced two new Echo products – a shorter Echo and Echo Plus. Apple fans can also wait until December for the HomePod. CNET has a great article and video review to compare Google Home and Amazon Echo. Congratulations, you have got your foundation all set up! We will continue this guideline by proposing different smart devices in each room of your lovely home. 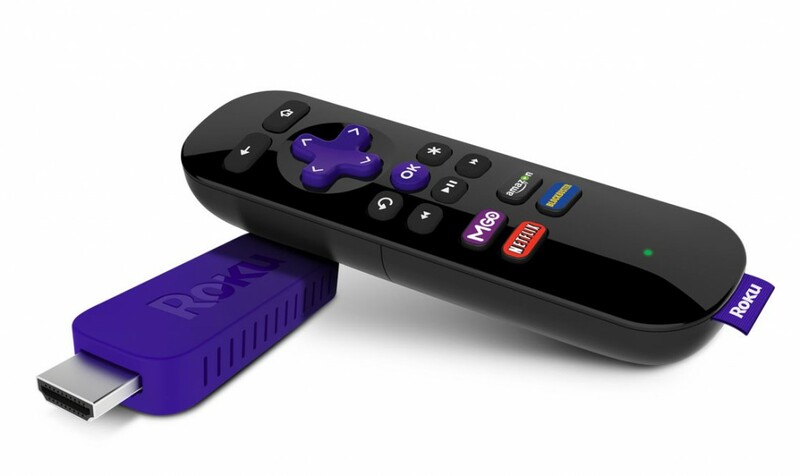 According to a report from Zatz Not Funny!, Roku is going to introduce a new 4K Streaming Stick+ to compete with Chromecast Ultra this fall. The new Streaming Stick+ will join the lineup mid-range, with the universal remote while maintaining an elongated stick presentation versus changing it to a dongle form like Google has or Amazon will have. As the company is marching towards an IPO, it will be interesting to see how the market will respond to this new stick, especially given the new Apple TV and the upcoming two Amazon Fire TV models. Also, it would be a question mark whether the new streaming stick+ can replace or cannibalize the currently popular Roku Ultra. At the end of this year, you won’t have to give up Amazon Fire TV just because it doesn’t support 4K HDR videos! Amazon has two new Fire TVs coming out late 2017, according to a report on Sep. 11 by AFTVnews. Both models will be capable of handling 4K HDR video at 60 frames per second. 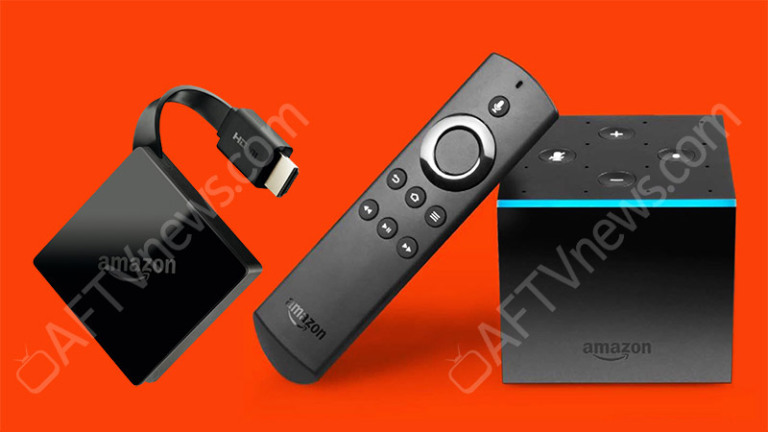 The first new model, positioned as mid-tier, will fill the gap between the existing Fire TV Stick and a new top-tier model. It uses a dongle form factor that hangs off a permanently attached HDMI cable, similar to the Google Chromecast. The new top-tier Fire TV is said to be a cube shaped set-top box that will become Amazon’s new flagship model. AFTVnews said that this new model is equipped with far-field microphones, an integrated speaker, as well as an LED light bar. It has the same functionality as an Amazon Echo Dot for hands-free Alexa interaction and control. It also has an IR emitter to allow for controlling televisions and other A/V equipment. The new mid-tier Fire TV will most likely be announced this month and released next month with a pricing point between $60 and $80 while the new top-tier model will be announced soon after and probably cost consumers around $100. 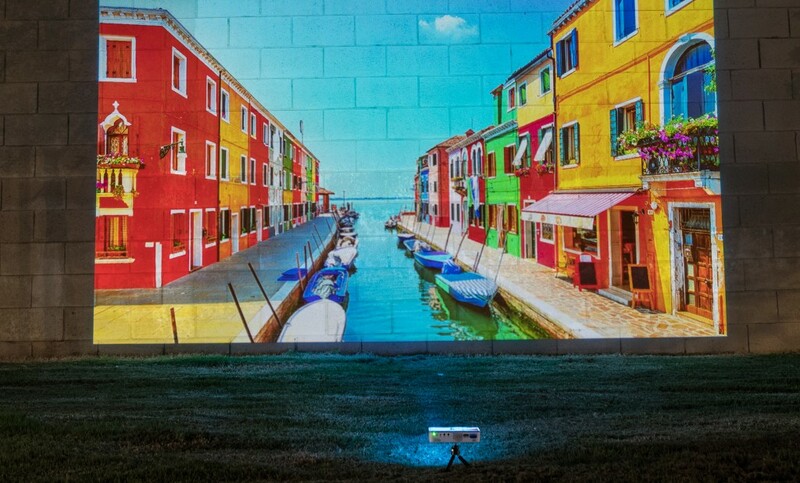 If you are recently considering purchasing a mini projector, you won’t want to miss this! Last month, AAXA Technologies announced its release of the P300 Neo Pico Projector – a revision of its most popular P300, which was rated as the Best Portable Mini Projector of 2015 by the Wirecutter. The new model comes in with more lumens and higher resolution while reducing size and weight by over 40%. 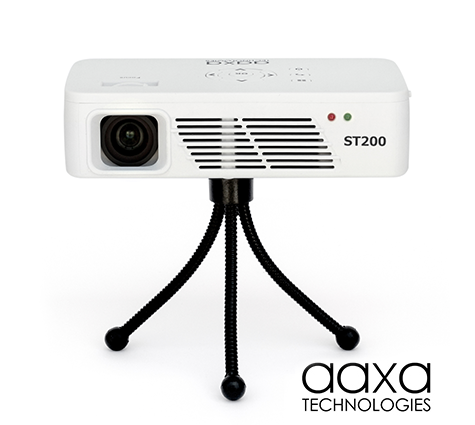 Like most models of AAXA Technologies, the P300 Neo is an ultra-compact projector – measuring just 5.5” x 3.5” x 1.2” which is about the size of two smartphones stacked together. In spite of its portable size, this model can deliver 420 LED Lumens of brightness at a native resolution of 720P HD (1280X720). Powered by a 30,000 hour LED light source, the P300 Neo can display up to 120” images in dark areas. We will be excited to make a side-by-side comparison for P300 and P300 Neo once we receive the demo unit from AAXA. So FOLLOW OUR BLOGS! An interactive projector allows the presenter to interact with either the projected image, the projector, or in some cases another device. Essentially, it mimics the function of an interactive whiteboard on any surface where the image can be projected. Therefore, it has always been embraced by the education industry since the very beginning. Now, with Sony XPERIA Touch, consumers have the chance to enjoy an interactive display at home. 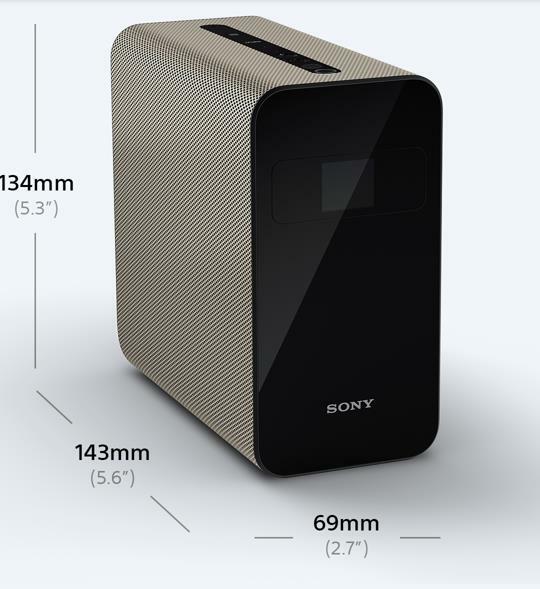 Compared with the gigantic size of traditional interactive projectors, Sony XPERIA Touch comes in at only 2 lbs with a dimension of 5.3”x5.6”x2.7”. 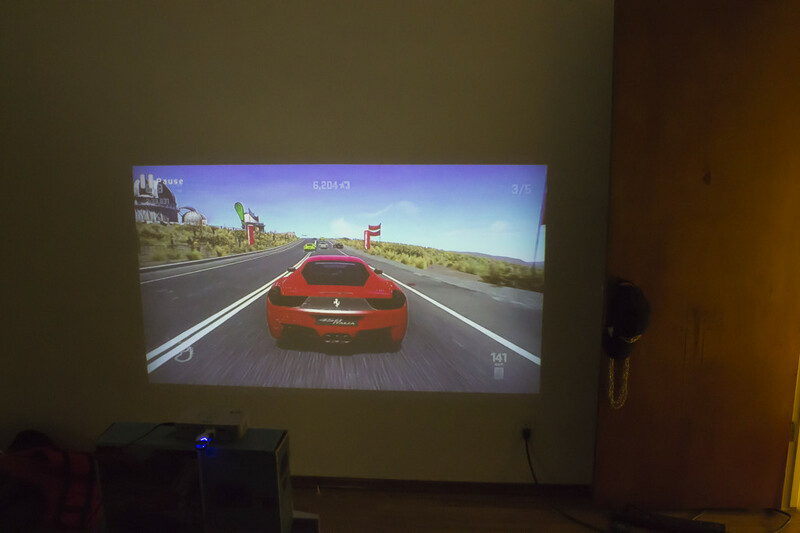 The projector can be easily placed on a study table, allowing it to turn into an arcade. With the onboard AndroidTM N Operating System, users can download their favorite apps through Google PlayTM. Sensors including those for GPS, temperature, and humidity attach more intelligent components on top of the human detection sensors and 10-point multi-touch input for projection at 23 inches. All above features enable multiple uses for a family: no more boring education at home for kids, no more messy recipe books on the preparation table for parents. Families that have home offices can enjoy this tiny projector even more by adopting the video conferencing capabilities that come with the XPERIA Touch. Groups can use multiple presentation apps together to improve interaction and collaboration. However, consumers ought to take pitfalls of the XPERIA Touch as a projector into consideration before they decide to go for it. Though Sony claimed that the projection could be stretched up to 80”, everything beyond 50” would be blurred given the projector’s only 100-lumen brightness and less-than-HD resolution (1366×768). While thinking of purchasing a projector, if these specifications are worthy of the premium pricing would be a question. With all the new tech out in the market these days there is no shortages of ways to watch a movie. Apps are the go to for quick access to entertainment whether it be on your phone, tablet, or television. Pizza Hut came up with a whole new concept of a movie night and thought way out of the box by taking a second look at their pizza boxes that reaches the homes of countless of homes across the world. 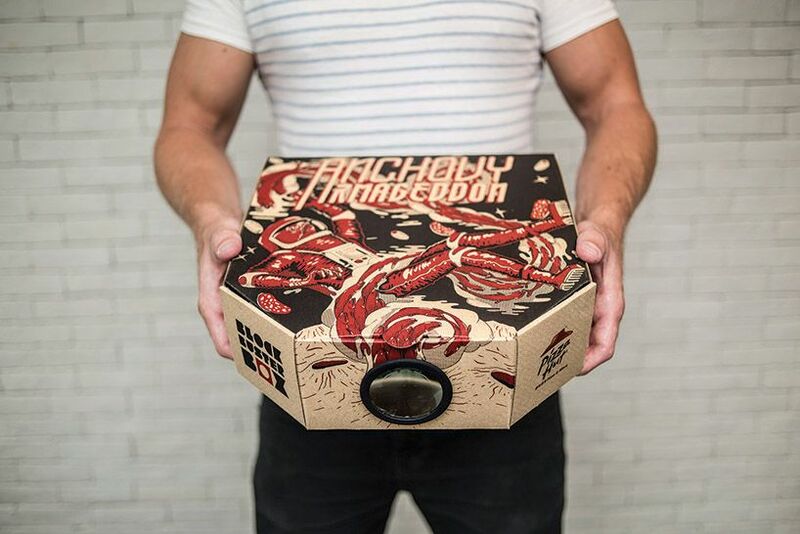 Movie night has just been delivered and it’s wrapped in a deliciously illustrated box that you might even want to keep after devouring your pie. While the box has not made it to U.S. shores yet it is one of the intended market so keep an eye out. We sure are. 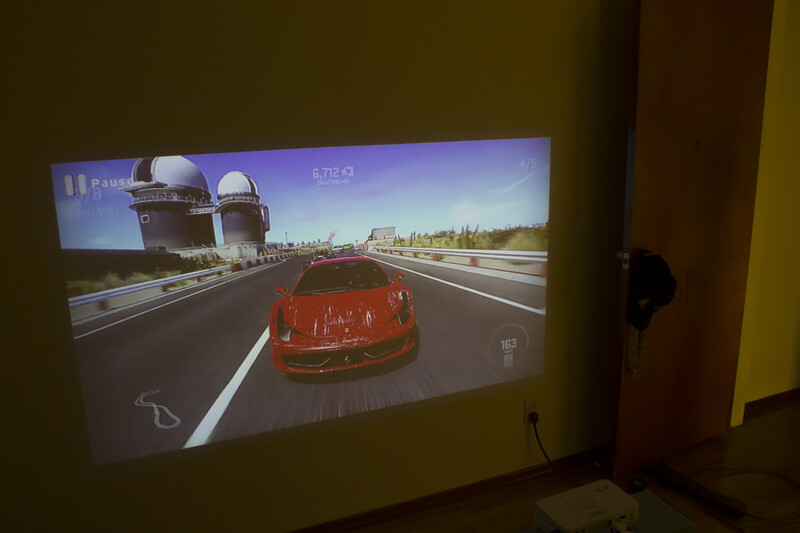 More and more people are getting into projectors as their option for gaming as opposed to the a television set. Some say that gaming with such little out put in brightness is not worth it as you would have to play in complete darkness. The resolution of pico projectors aren’t too appealing for the serious gamers either but we’ve heard otherwise for those who like the idea of a portable display that they can easily take around to friends house and use for other recreations. In any case the popularity for gaming on projection is on the rise and it is evident with the announcement from Sony that they will be pushing out their own little pico projector the MPCL1. A lot of PlayStation fans are excited for it and others are skeptical. We thought it would be nice to have a go at playing on a pico projector ourselves and share our thoughts before the MPCL1 hits store shelves. The pico projector that we used in our experiment is the AAXA ST200. We chose this projector because it’s around the same price point as the Sony MPCL1 at just under $350 on Amazon and both are classified as pico projectors. The difference lies in the projection technology. 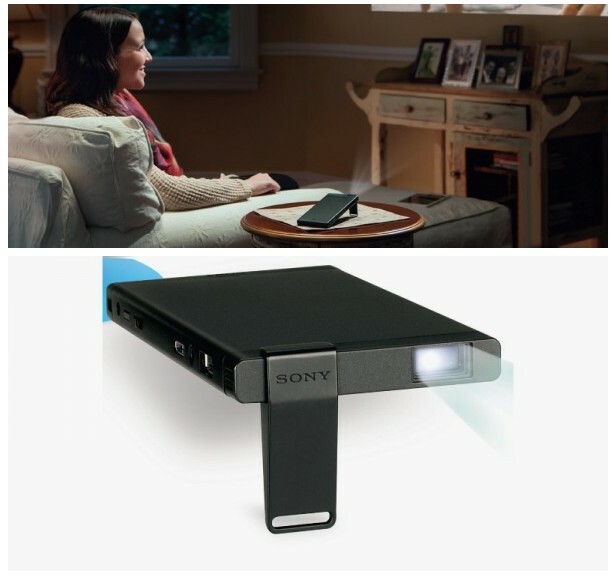 The Sony MPCL1 uses laser projection and is said to output only 32 lumens of brightness according to an article on GizNoise while the AAXA ST200 uses LED lights and pushes out 150 lumens. But because of the differences in contrast (beam-steered lasers offer very high contrast) we feel comparing a 32 Lumen laser to a 150 Lumen pico is pretty fair as the perceived brightness will probably be pretty similar. Both projectors said to have the ability to produce a maximum image size of 100 inches. 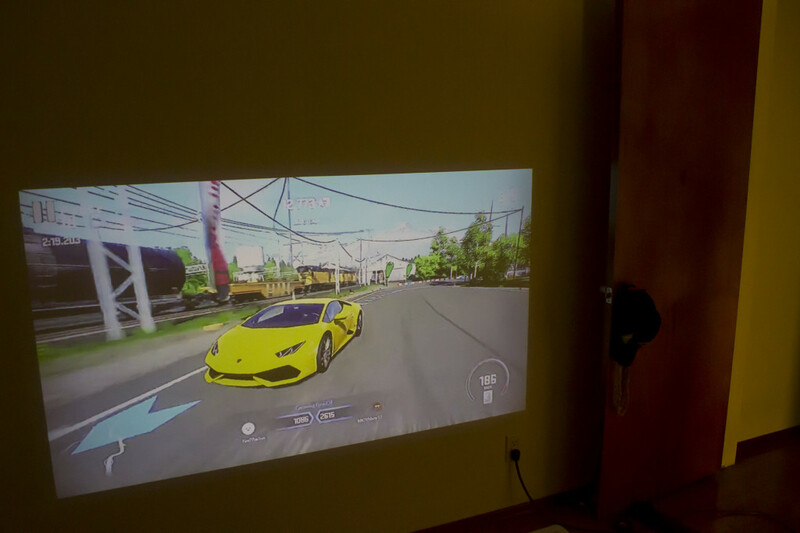 The Game we chose to use on the pico projector is Drive Club. With its fast action scene and different levels of brightness from all the stage options and variety of cars we feel it will give a good understanding how pico projectors is able to perform all around. 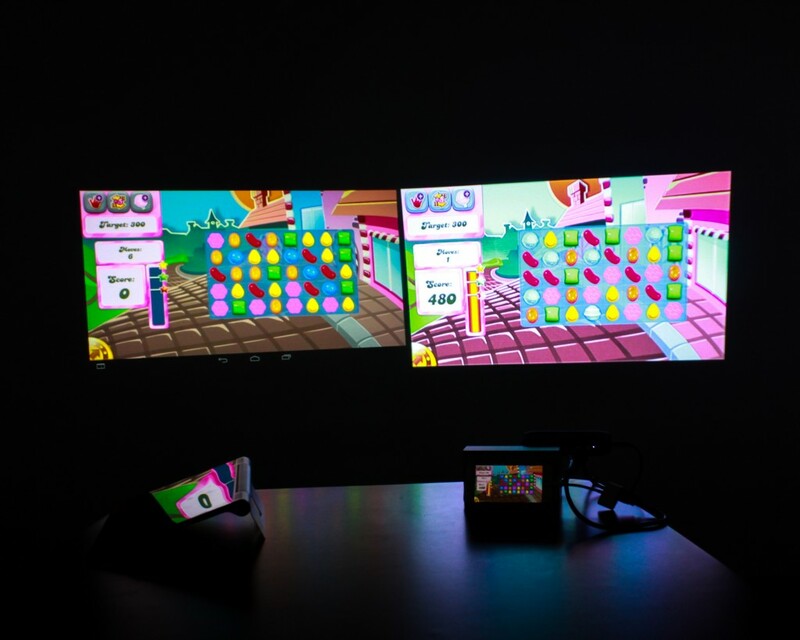 Game play in a dim lit room wasn’t as bad as we’ve heard at a screen size equivalent to a 60” t.v. the AAXA ST200 performed well. Of course in a totally dark room it did even better and the short throw feature was perfect for gaming in a small sized room. Even with minimal light in the room the brightness was still good and the 720p resolution is also good. To conclude; if the performance of the AAXA ST200 is any indication of the joy one can get from playing your favorite games on a pico projector the Sony MPCL1 sales is sure to be high. We will have to wait and see how the 32 lumens laser projection compares. It recognizes an object in real time with the high-speed vision technology. It takes three millisecond to project an image (lag time). The projector realizes the high-speed operation for a frame rate of 1,000fps by adding original control techniques to Texas Instruments Inc’s DLP (digital light processing) system. The DLP is an optical engine using a DMD (digital micromirror device) that is made by using a MEMS (micro-electric-mechanical system) to form many micromirrors on a silicon chip. Not everyone can shout out the big bucks for the best of the best, but do you really need the best? The speed at which technology is growing has its advantages and if you’re a patient person it can pay off. The best most expensive thing today is tomorrows outdated discount item. Look for projectors that have the flexibility to maintain that good quality image even at larger, crowd-friendly sizes – measuring up to 200 inches diagonally in some cases. You won’t get the crisp clear image of an expensive unit but it will be good enough for everyone to enjoy. One of the best things about good budget micro projectors is that you can take them anywhere. Running on battery and fitting into a small bag gives you mobility. LED Pico projecters are great for trips and camping. We expect this category of projectors to make life easier in every way. Even at the budget price range we expected to see a wide range of connections so you can hook one of these up to a wide range of devices via HDMI, mini-HDMI, or VGA. Use your phone, tablet, or laptop. Budget micro projectors can be useful for business, but they’re inexpensive enough to be perfect for recreation . That means they should be easy to use for just about anyone. There should be very little time required to get these out of the box and start using them. We expect the manufacturers of any product to stand by it with excellent warranties and customer service. If you have a question about your projector it should be easy to find the answer. 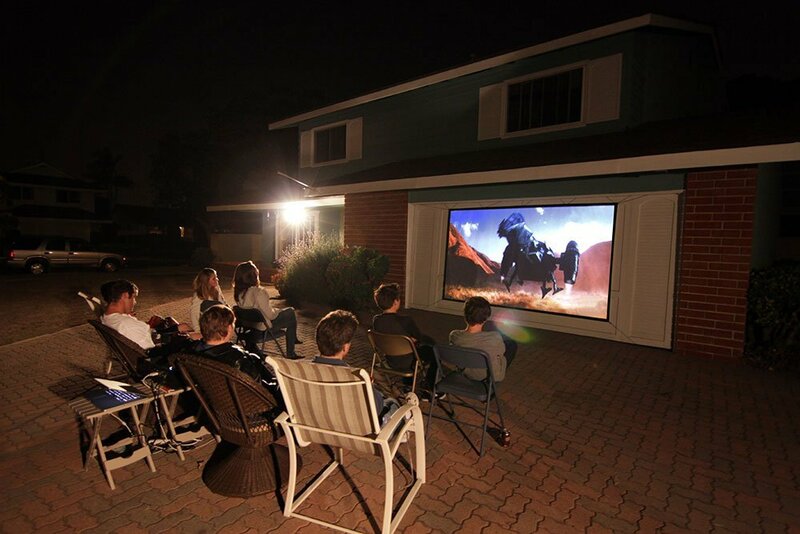 Since your investment is going to be a couple hundred dollars instead of a couple thousand, your micro budget projector will be the one you can let the kids use for a sleepover, the one that you can take with you anywhere.